When you start to feel that your home, bedroom, or any personal space is becoming drab and dreary, it might mean it’s time to refresh the interior design of your home, bedroom, or office. With merely a pop of color, a new plant, or a funky accented throw rug, new additions to your home or workspace decor can rejuvenate a space and make your cozy home feel brand new. Plants are known to have multiple health and wellness benefits when integrated into a living or working space. Not only do they act as a natural air cleaner, but they are known to serve as a calming effect, and reduce stress and anxiety. They have also been proven to reduce noise, and contribute to maintaining a healthy level of humidity in the air, which helps protect against airborne pathogens. Plants also add a great natural aesthetic to any room, effortlessly matching naturally with any kind of decor. 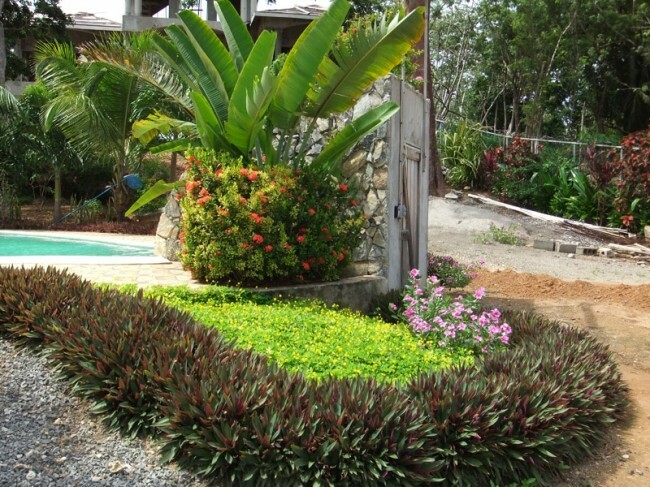 When searching for the right interior design plants in Philadelphia, contact Plantscapes U.S.A. for all your plant installation needs. Whether you choose funky and loud patterns or soft and neutral fabrics, decorative throw pillows act as a unique decorative ornament for a room. Small details can change the theme of a decor instantaneously, and accessories such as decorative pillows can do just that while also adding a level of comfort and coziness. Think simply. One of the best ways to create a calm and refreshing look in a room is to be minimalistic. Finding ways to reduce clutter can make space appear larger, more open, and even brighter. By integrating new pieces into the room, such as pullout drawers into cabinets or walls and furniture with storage, it allows you to keep everything you’ve always had in the room while simultaneously opening up the space and giving it a simplified and refreshed feel. Like the windows, the floor acts as a point of reference for the perceived size and openness of a room. Whether it’s ripping up that old carpet and installing hardwood floors, or adding an accent throw rug under the coffee table, creating dimension in the appearance of the floor can make the room feel more open, brighter, and spacious. Don’t leave those walls bare! Adding art to a room brings a level of uniqueness, especially when it is an original painting or print. Abstract and modern art allows you to veer outside of a specific color scheme or theme, as it is intended to be eye-catching and outlandish. Not only will new art be ornamental for your decor, but it will add a level of culture and sophistication as well. Whether you’re putting new art on the walls or looking to control your clutter, the ways to refresh the interior aesthetic and overall environment of your home or office are endless. For help with your interior design plants in Philadelphia contact Plantscapes U.S.A. today!